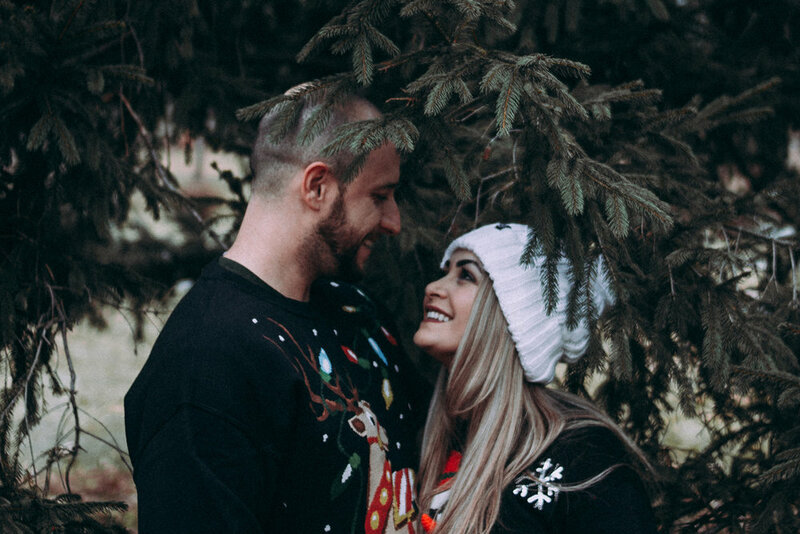 The holidays are in full swing and this is one of the most common times for couples to put their relationship on autopilot. The kids, your job, working more hours to pay for the Christmas gifts, the holiday parties, a lot of travel and visiting or hosting extended family typically take up all of your time and energy. Don’t let it. One of the best holiday tips we can give you all is to create a tradition that just you and your spouse can share together this season. Something that will bring you closer and feel more connected during the holidays. No matter if it is your first year in your marriage or your 30th wedding anniversary is approaching, volunteering can help you maintain a fun and caring relationship. Not only is it going to help you bond on a deeper level as a couple, but you will also be making a huge impact with the organization you’re helping out. Pick one night in December where the only item on your to-do list is to kiss underneath the mistletoe. Enjoy one another and the connection kissing brings to your marriage. In Iceland, there’s a very popular tradition where books are exchanged as Christmas Eve presents. Then you spend the rest of the night in bed reading them and eating chocolate. Sounds like a fun tradition to me if it includes a good book, my pajamas and chocolate. If you’re interested in marriage books, check out our recommendations here. Your tree will eventually be full of unique ornaments that you’ve collected over the years. To take it a step further, take a sharpie and write the year and something you achieved or are proud of on the ornament so you can look back and remember. A great way to be intentional with your relationship is to plan ahead and write down some things you want to accomplish together in the upcoming year. This is a wonderful time to talk about where and what vacations you want to go on as well! Buy a large poster board or get some butcher paper and write down as many things you can think of that you’re thankful for. Write some together and some separately. Once you’re done, post the poster board in your living room so you can be reminded of how blessed you both are. If you have kids, put everyone’s name in a jar and have each member of your family pull one name. Pick a day where everyone does a “secret service” for the person they picked. Some service ideas would be breakfast in bed, folding their laundry, or taking over one of their chores. We would love to hear from you. What is a tradition you and your spouse do every year? Meygan Caston is the co-founder of Marriage365 and lives in Orange County, California with her husband Casey and their two children. She loves the beach, dance parties, writing, spa days, and helping couples connect in their marriage. Her life-long dream is to walk the Camino, have lunch with Brené Brown and get on The Price is Right.